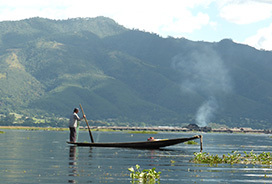 A local fisherman on Inle Lake. 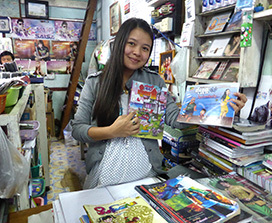 This young woman has a small shop in the Kalaw market, and makes her living by renting out books, comics and DVDs. 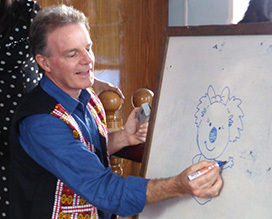 Cartooning is a universal language - it truly works anywhere. I drew cartoons and then the kids sang some songs. What a privilege to meet these young people and celebrate our shared humanity. 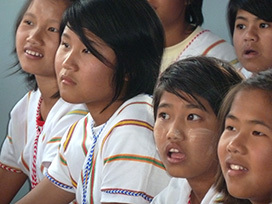 Our guide in Yangon was a young woman who had grown up in Kalaw, and then went to university in Yangon. She now works as a travel agent and she's doing an awesome job - proof of the power of education and determination. 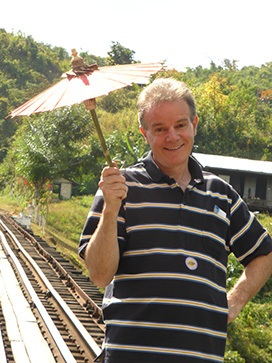 On a railway line, somewhere in Burma. Kalaw is a large town in Shan State, Myanmar, and not too far from Inle Lake, a land of stilt houses, laughing kids and floating vegetable gardens. 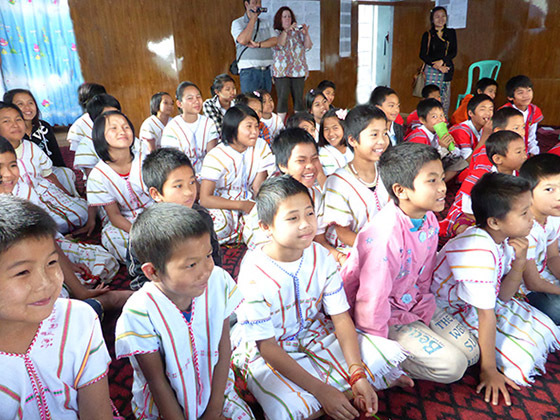 We visited Pastor Abe, who lives at Kalaw and provides a home for around 70 children from remote areas of Shan State. 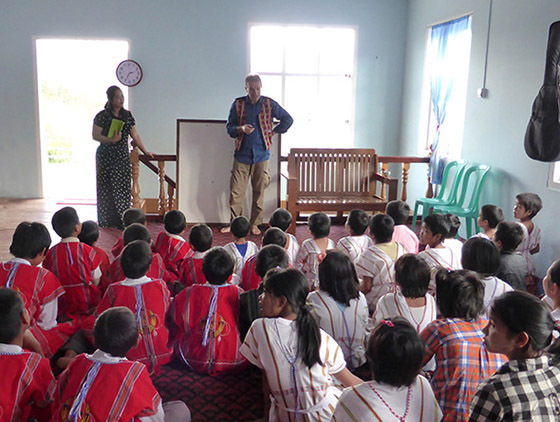 The only way the kids can get educated is to live at Kalaw during the school term, only returning to their families in holiday breaks. 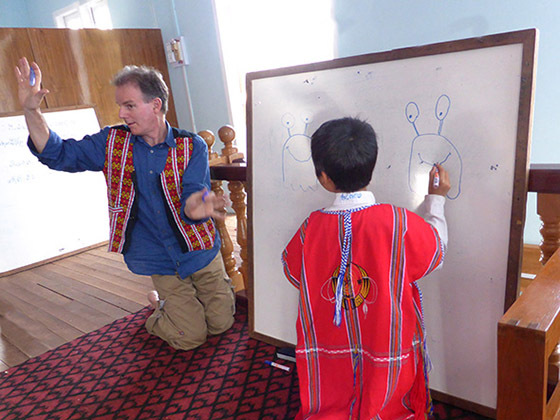 It wasn't long before Ne Gay Pe, our friend and guide, suggested that someone find a whiteboard and markers. "Hmmm... if our friend can draw like that, then so can we!" 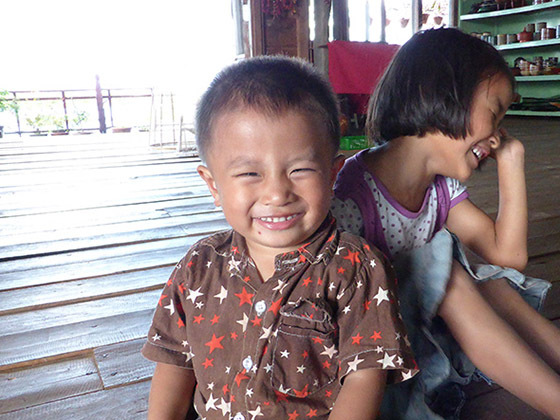 Two youngsters at Inle Lake.